Players compete against one another by scoring baskets until their side has no more balls. This is a fast paced game and very exciting. When you make a basket, the ball goes to the opponents side until they make a basket. 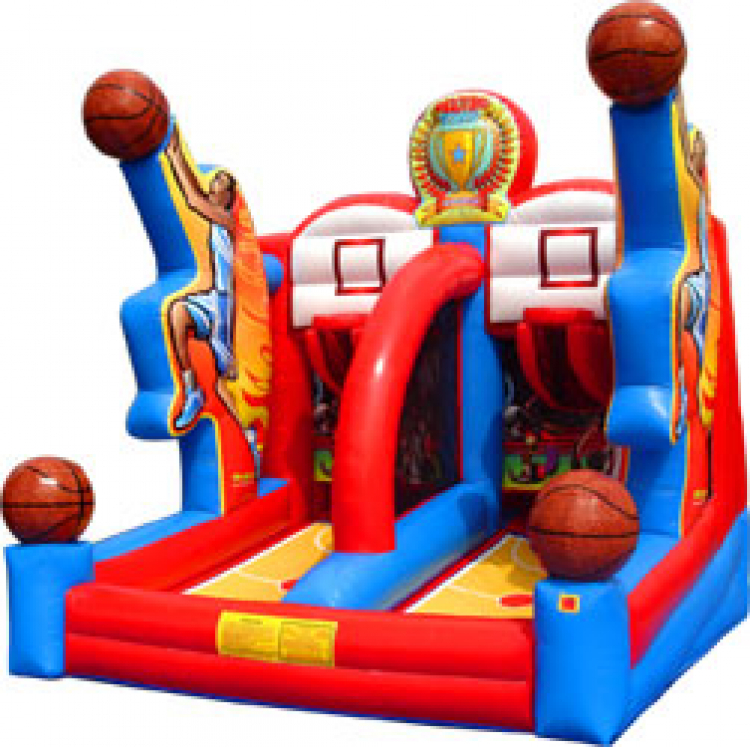 Perfect for any event and comes with 6 basketballs and awesome graphics.